For much of 2017, Army Training and Doctrine Command kept hinting that the advanced individual training platoon sergeant experiment was over. As of Nov. 17, the Army has decided to bring drill sergeants back to AIT, after receiving a sign-off by Ray Horoho, the acting assistant Army secretary for manpower and reserve affairs. The move is part of a sweeping review at CIMT of the Army’s basic training program of instruction, begun last summer by new commander Maj. Gen. Malcolm Frost. “I am trying to assess the enterprise through what I think is the No. 1 sphere of influence in that enterprise, and that is the drill sergeant and the AIT platoon sergeant,” he told Army Times in September. In the end, officials felt that drill sergeants — both their training and what they represent to new soldiers — would be the best stewards of competency and discipline at AIT. 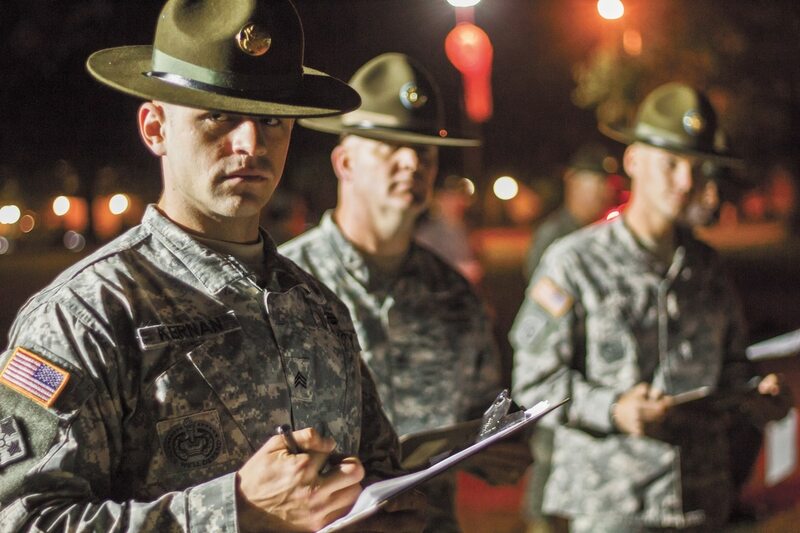 Drill sergeants already run One Station Unit Training, which is offered for military occupational specialties such as infantry and military police and combines basic training and AIT. AIT platoon sergeants have only existed for the past decade, TRADOC Command Sgt. Maj. Dave Davenport told Army Times in October, but it was time to re-think them. Over 10 years ago, the Army introduced the concept of the advanced individual platoon sergeant: A noncommissioned officer who would lead new soldiers, fresh out of basic, through their second round of training before heading into their first units. But as it turns out, AIT soldiers could use the continuity of drill sergeants to cement their initial training until the end.